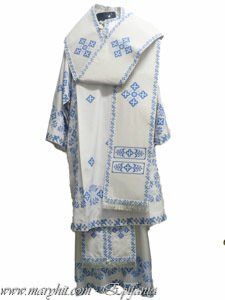 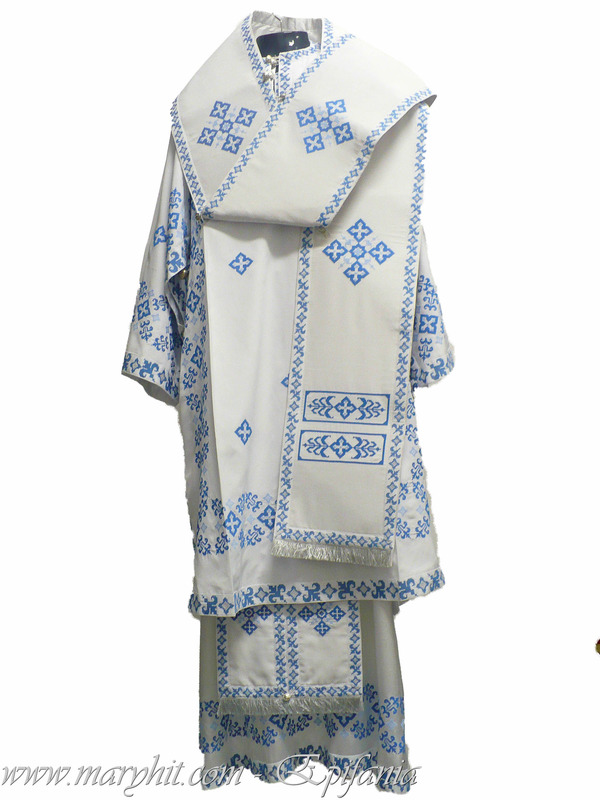 VA001 - bishop of the garment and silk woven blue crosses . 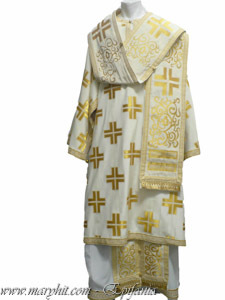 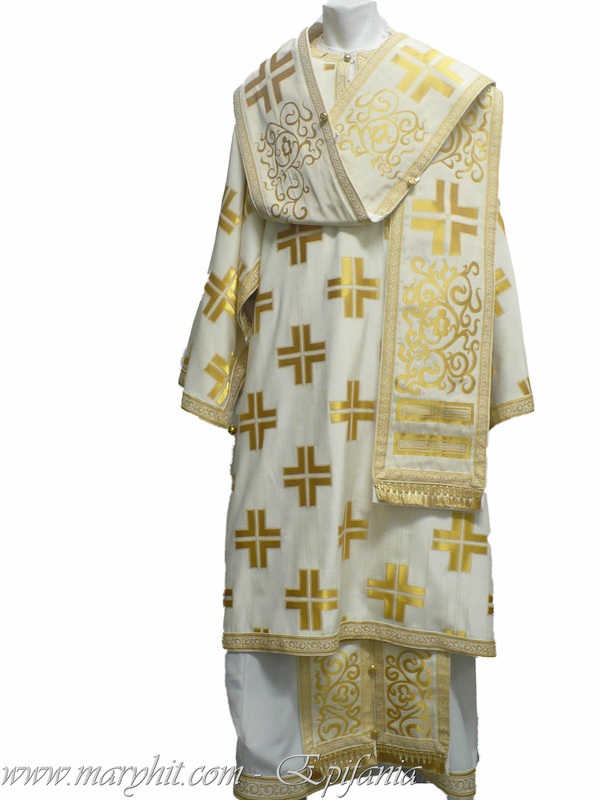 VA002 - bishop of the garment and silk woven gold crosses . 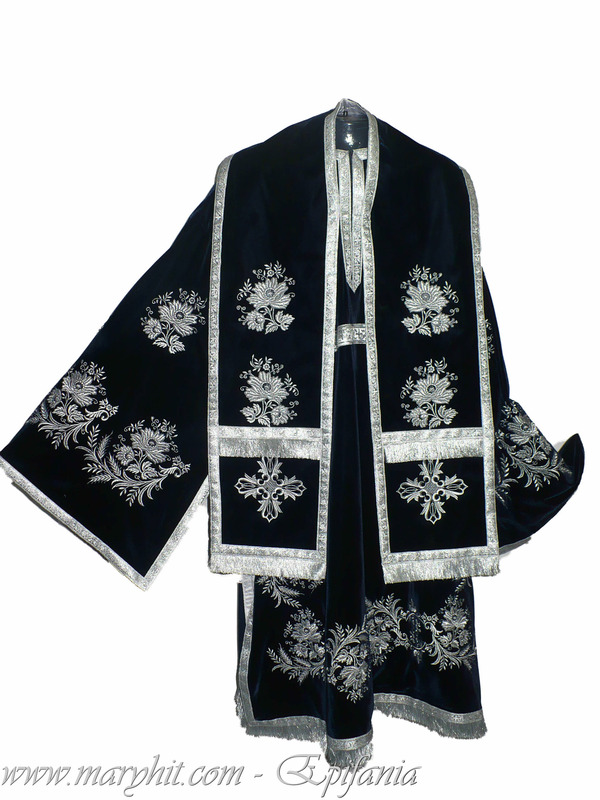 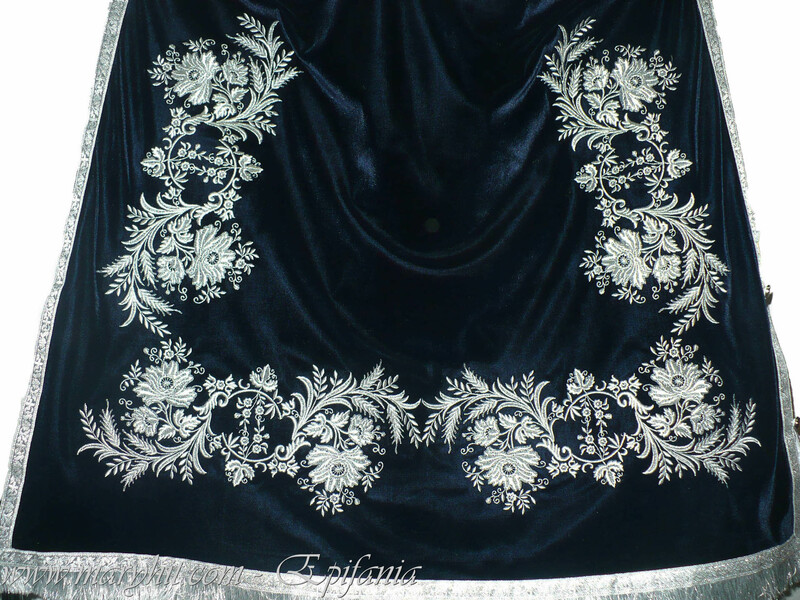 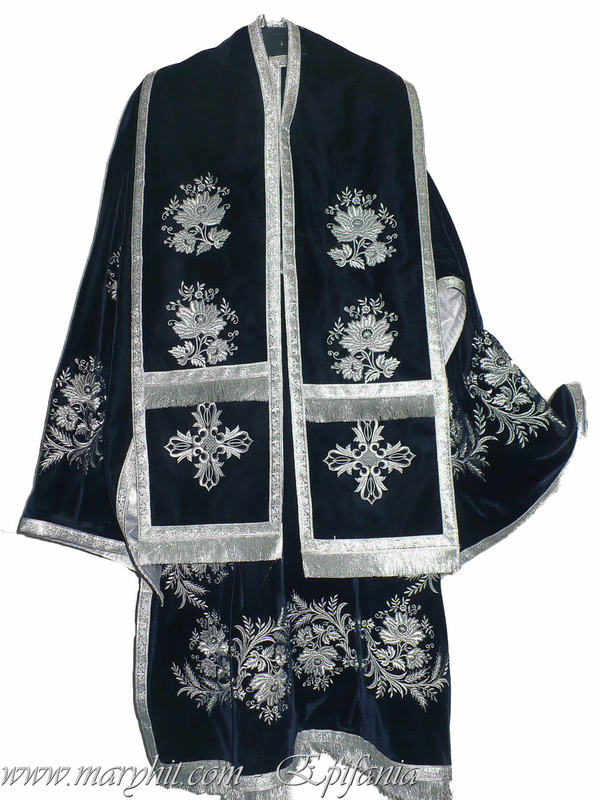 VA003 - bishop velvet robe with embroidery thread bleomaren silver ice flower pattern .